Help Us Celebrate! Take an Additional 20% Off on All Products purchased at Family Roots Publishing Co. Website This Weekend! On Sunday, September 1, Patty and I are celebrating our 45th Wedding Anniversary, along with our sons and their families. It just happens to also be Labor Day Weekend. In honor of this milestone anniversary, Patty and I are doing something we've never done before at the Family Roots Publishing Co. website. We're offering a Labor Day Weekend/45th Wedding Anniversary sale of 20% additional off on all products on the site. To take advantage of the offer, just put the number 45 in the Offer Code box at checkout. Please remember to put 45 in the Offer Code box. Otherwise you won't get the additional discount! This is a FamilyRootsPublishing website sale only. We're not taking phone orders, and purchase orders are not allowed for this sale. Credit card sales only. We're doing the sale this way as we're letting the computer do all the work. We won't be working. Instead, we will be celebrating! Items purchased will be shipped on Tuesday through Thursday, dependent on sales volume. The sale starts now, and runs through Midnight MDT, Monday, September 2. If you wish to read about the wedding that took place 45 years ago, click here. To take advantage of the additional 20% off on all products (making many discounts add up to 22 to 40% off), click here. Happy Anniversary, Leland and Patty! Got Swedes? ArkivDigital has a discount on their annual subscription (995 SEK or approximately $153 US - regular price is 1195 SEK or approximately $184 US) which ends Sunday, September 1st. You can also purchase shorter or longer subscriptions if you prefer. Even if you currently have a subscription, you can take advantage of this offer. The new subscription will be put on hold until your current subscription expires. With a ArkivDigital subscription you get access to about 43 millions color images (Swedish church records), easy-to-use software to navigate among all the documents, and hopefully exciting stories about your Swedish ancestors. There is no clear time zone listed for when this offer expires, so act fast! This Labor Day weekend you can save money on some of your favorite genealogy products. 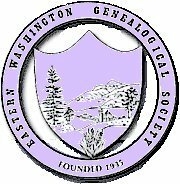 From today through 11:59 p.m. EDT, Monday, September 2, 2013, you can order any product available at www.genealogical.com at a discount of 30% off the current selling price of the books(s) or CD(s) of your choice. To take advantage of this holiday discount, simply add the special code LD13 (caps, no spaces) in the Discount Code box on the "Shipping and Handling" page of the check-out process. You can use your special LD13 discount code as many times as you like, so long as you place your final order by 11:59 p.m. EDT, Monday, September 2, 2013. Ancestry.com is offering free access to its U.S. Immigration Collection through 2 September 2013 at http://www.ancestry.com/cs/us/immigration. These include Passenger Lists, Border Crossings and Passports, Citizenship and Naturalization Records, and other records. In honor of Labor Day, MyHeritage.com is providing free access to the complete US Census collection from August 31 through September 2 - during Labor Day weekend. 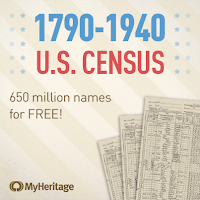 You can find out more about your ancestors, and their professions, in hundreds of millions of records in this collection of US Federal Censuses spanning 1790-1940. I bought this little booklet at a garage sale. There is no date in the book, but the pastor was John Newton Garst. The Garst family is found on the Spokane's 1930 census but no others (1920 in CA; 1940 in IA). So I'm guessing this booklet was published in the 1925-1935 time period. "An attractive home and how to make it" has been the query of womenkind for ages. We find the savages expressing their idea of home in the primitive tepee and adobe houses. Time and education has developed many new ideas. Today the architect plans, the artist carves and paints, the plumber and mechanic lends his brain and skill to express our modern ideas of house building. "The comes the woman's hand with the touch that tells and the influence that makes the abiding place truly a home. Give thought and attention first to the kind of a home you desire. When that point is attained, be sure it exists, then search until you find it. If it is to be constructed, define well that which you desire, thereby lending assistance to the architect to that end. Take time to dream of the effects and see it first as it should be or as you would like it, then proceed to execute your design, knowing full well that as in a woman's dress nothing tells so much as careful attention to every detail. In carrying out this idea of the attractive home,w e will call attention to our advertisers. You will find them men and women of skill in their chosen line, courteous, kind, every ready to serve or suggest if you make know to them your desire. Also the following notes on various branches of home making and housekeeping it is hoped will assist you greatly in your efforts. "In presenting this little book to the public, the ladies of this church have endeavored to arrange a collection of choice ideas, contributed by members and friends, that have been thoroughly tested and feeling assured the same will appear to many and be of service in many homes." As time and space permit, I shall add more tidbits from this interesting booklet; stay tuned. What do you think of this advice so far?? 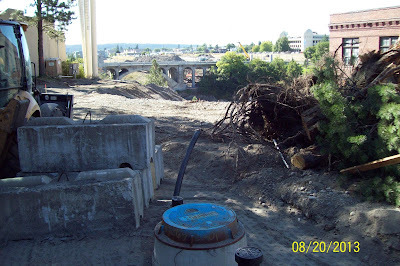 Back in June I posted a picture of the Spokane Library taken from across the Spokane River, and if you look closely you can see some benches and concrete near the river. 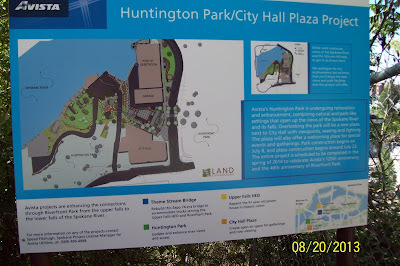 That was the end of the trail at Huntington Park. In June it was a real good hike down a lot of steps, but the view of the Spokane Falls is worth the trip. 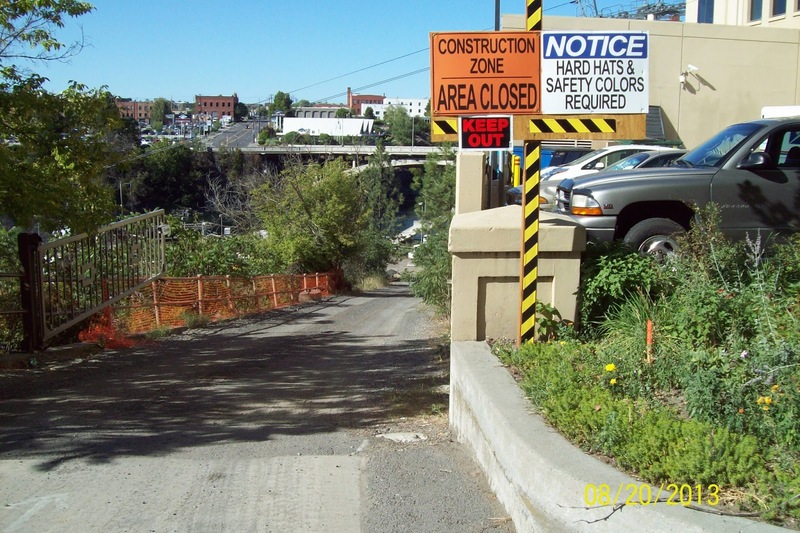 Well a couple of weeks ago Avista (our electric and gas utility) started a project to make Huntington Park ADA accessible, and here are some pictures of the construction. The first one is what it is supposed to look like when done. Mr. Huntington was a president of Washington Water Power. Today they call it Avista, but the park was named for him. The library is located just below the street near the bottom of the picture. This and the next photo used to be the small parking lot next to City hall. 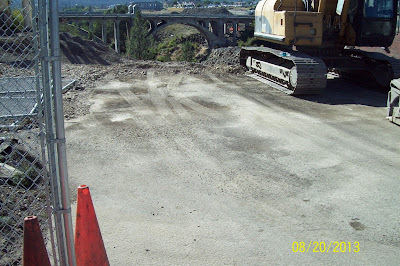 This is the service road for the dam and power plant, it used to have a gate right next to where the construction sign is in the picture. If you did not like steps you could walk down this road to the river. 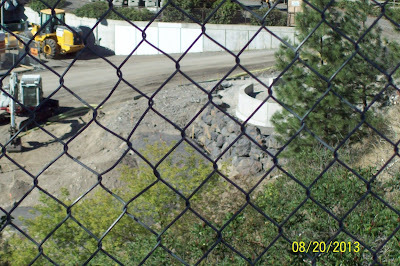 Some of the construction down by the river. 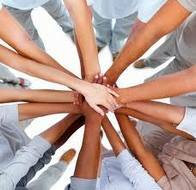 Many Hands Make EWGS Great! This really great picture was shared with me and I do love it! It is a visual of how I feel about EWGS. This is our 2011 Walking with Ancestors group photo. This, too, typifies the working-together-in-a-good-cause spirit of EWGS. As we fade out of summer and into another scholastic year of learning, I hope you'll right now mark your calendars for all the EWGS meetings, classes and activities. They start in September....... click to our wonderful website for all the details: www.EWGSI.org. 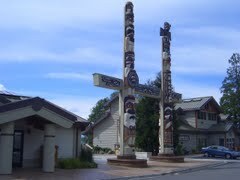 Jamestown S'Klallam Tribal Center..... For Your Summer Trip? Does your summer vacation plans call for a trip to Port Townsend, Sequim, Port Angeles or the Olympic Penninsula? 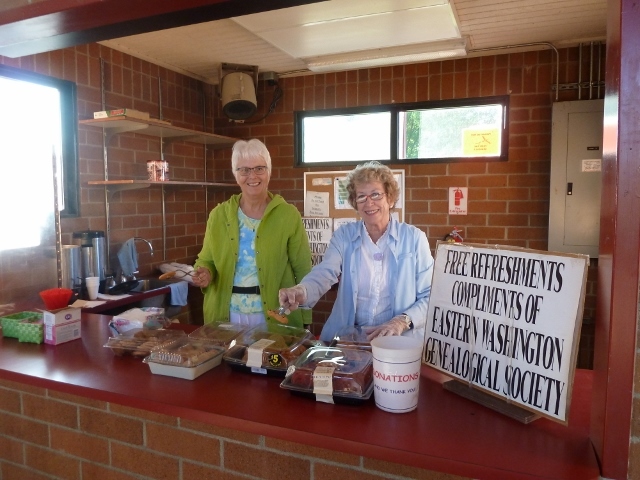 If you'd enjoy a big dose of Washington history, here's a tidbit for you. On Hwy 101, the Old Blyn Highway near Sequim (you drive right by; cannot miss it) is the Jamestown S'Klallam Tribal Center. The Center has a tribal store, gas station and the casino is shortly down the road.... good food. But the Center also has a museum and library. Why should you care? Two good reasons: this is part of the history of the state wherein you live. (Did you figure out that S'Klallam is the current Clallam?) The second good reason is that if your ancestors came early to anywhere in this area, they did interact with the S'Klallam tribe. At this Center you can learn more about this tribe and that interaction. At the very least, I invite you to click on this link http://www.tribalmuseum.jamestowntribe.org and take a virtual tour of the House of Seven Generations. Tiz really interesting. 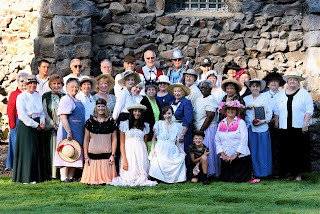 It's a stop on your trip or a destination in itself and will help you better understand Washington history and our ancestor's making of that history. 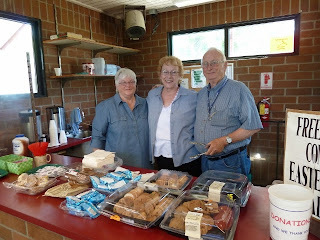 Miriam, our Rest Stop Project Coordinator, reports that we made just under $600 for our efforts. That's great! And I think all of us had a great time. Big Thanks to Pat, Jeanette, Doug, Charlotte, Ann, Ruby, Dianne, Miriam, Kathy, Bill, Pat, Charlotte, Tony, Janette, Leah, Jeanne, Marge and Gordon. I took these photos of the Sunday morning shift. We were busy from the moment we arrived (5:30am) and talked to some of the most interesting people and had nary a speck of trouble. 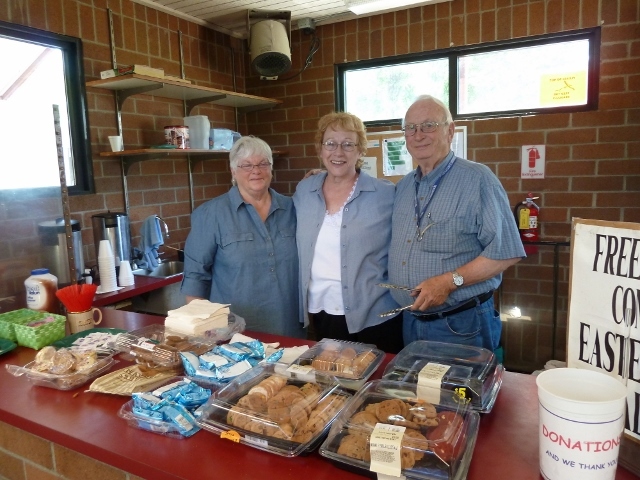 We'll look forward to our next rest stop project, especially if Miriam is the coordinator! Did you know that Spokane has a pets-only cemetery and that it's been there since before World War II? A story in the Spokesman-Review on January 7, 1999 explained: Tucked away on Howard Street just north of Francis Avenue sits a tiny plot of Spokane history. No signs identify it. No maps show its location. And it's not in the phone book. But many people know it is Sleepy Hollow pet cemetery. Dr. Michael Pfarr, veterinarian and owner of the Animal Clinic of Spokane, 6322 N. Wall, became owner of the cemetery, as he said, "be default." His father inherited it as part of the vet clinic he and his partner bought in the 1940s. When the practice changed hands, so did the cemetery. …. I've driven past this place and can attest that it is still there. Who would have guessed?